Welcome to this week's Pals Paper Arts Sketch Challenge. This week's sketch is brought to you by Maggie Mata at Maggie Made Cards. I hope you will check out her blog and her style! 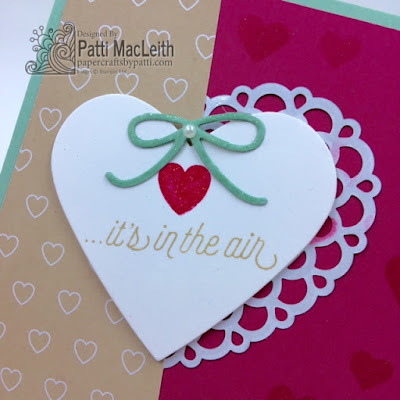 In the close up, you can see that I smudged my heart background onto the Melon Mambo card and the half-heart Doily (from the Love Blossoms Embellishment Kit) using Melon Mambo ink and the Hearts Decorative Mask. 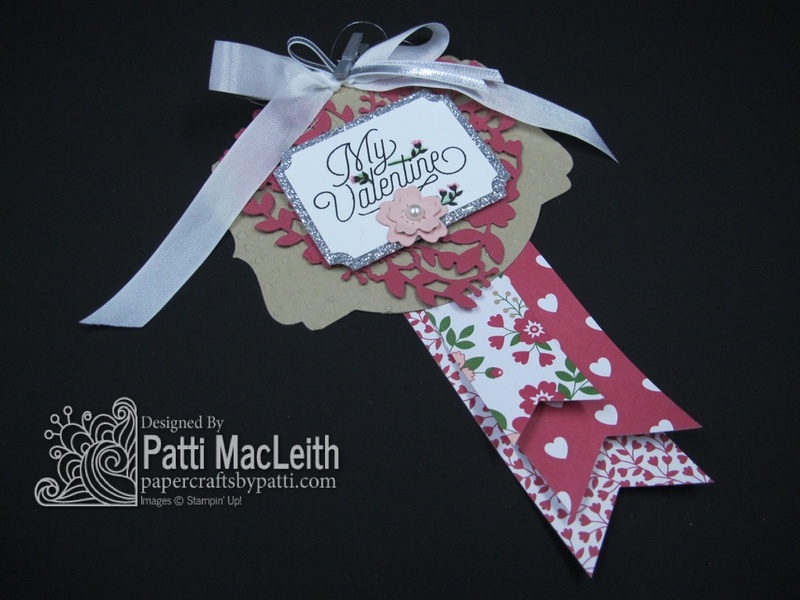 It matches the heart theme on the Crumb Cake from the Love Blossoms Designer Series Paper Stack. The sentiment is from the Bloomin' Love stamp set. I used two different inks, stamping one at a time and perfectly lining the image up. This is why I love photopolymer stamps! Thank you for visiting today. 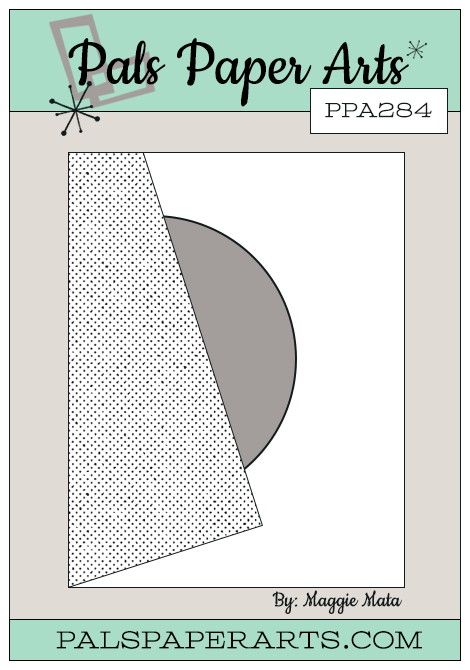 Don't forget to see what the other Design Team Members have for you at the Pals site. You are in for a treat! Shop my Online Store any time. Receive a free tag with your order of $50 or more through January 31st. Patti I love the heart with the lacey edge! Prefect take on the sketch. Hearts are everywhere! No wonder love is in the air. This is so fresh and fun, Patti! Love to see that DSP! Such a sweet card, Patti! I love the beautiful simplicity, but it's still very special. Love the little bow! Super sweet Valentine! Truly adorable! Absolutely adorable, Patti! 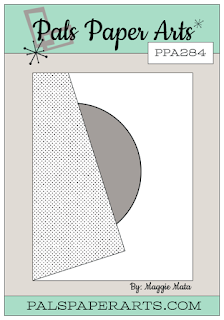 Great paper and color choices! I love the bow...it's the perfect touch! What a sweet card!! All your little touches just make it perfect!! Adora all those sweet little hearts. The bow is the perfect touch! Ooo, love is in the air! I love the lace heart. I must get might out and play!